Latest on Mamas: Halloween-Themed Fruit Pops, Lifting Babies Not Weight & More! The latest reads on Fit Bottomed Mamas feature healthy fruit pops for your family Halloween celebration, why carrying that baby actually is a workout, proof that you can get pregnant while breastfeeding and much, much more! Yeah, so the pregnancy stereotypes aren’t always right. Kashi go delicious with these two new eats perfect for autumn! The facts on SIDS and how to reduce your baby’s risk. Proof that, yes, you can get pregnant when breastfeeding. 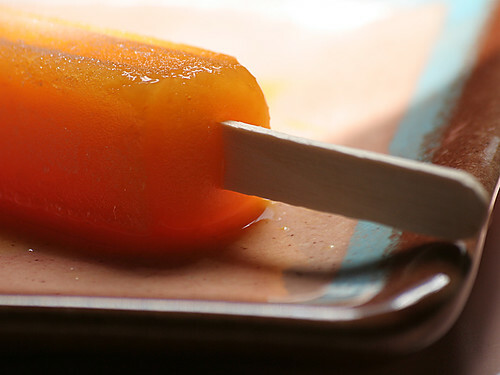 Make your own Halloween-themed fruit pops with this recipe! Finally research to back up what moms have known all along: lugging a baby around is a workout!